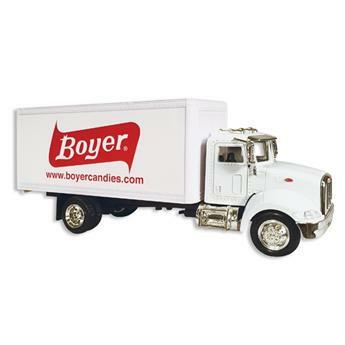 Are you a Boyer Candy Company aficionado? If you love this American candy company, you’re not alone. Why not show your support and admiration for retro candy and Mallo Cups for that matter, with one of these amazing toy trucks? · Not suitable for children under 3 years. · 1:43 scale die-cast with plastics. · WARNING: Contains small parts that may be a choking hazard.